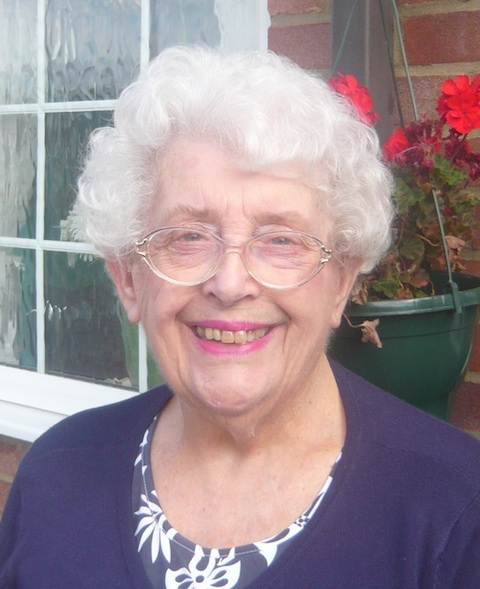 An 80-year-old senior citizen from Worplesdon has challenged the council leader to explain why her “hard working” councillor had been removed from the Local Committee, a joint Surrey County Council and Guildford Borough Council (GBC) group. The Local Committee in Guildford is one of 11 established by Surrey County Council in April 2002 to bring its decision-making and its services closer to the communities it serves. The committee meets regularly in a variety of venues around the borough of Guildford. The committee comprises of 10 county councillors, representing each of the divisions in their borough, and 10 borough councillors. They discuss issues such as education, social care, young people, highways and transport. Members are selected to represent, between, them all areas of the borough and reflect, approximately, the political profile of the councils: out of the 10 county councillors there are three Lib Dems plus one UKIP member and three Lib Dems among the 10 borough councillors. Borough Cllr Bob McShee (Con, Worplesdon) was one of the members until early September. When Sandra Morgan noticed his name missing from an agenda she contacted Cllr McShee, as one of his constituents. He told her that he had not wished to stand down but had been removed to make way for another councillor. Unhappy, Mrs Morgan decided to exercise her right to ask a question at the next Local Committee meeting, where as sound as she was given her chance to speak said: “Worplesdon feels under threat at the moment. The chairman, County Cllr Mark Brett-Warburton (Con, Guildford South East) responded to explain that the move had been made to allow Cllr Matt Furniss (Con, Christchurch) as the new lead councillor on infrastructure at GBC, to take a seat on the committee. Mrs Morgan remained unconvinced and said: “Chairman – he wasn’t asked to step down, he was removed. He was told he couldn’t do it any longer. I am sorry but I don’t find that satisfactory. A further explanation from the chairman in which he said that Worplesdon was still represented by County Cllr Keith Witham and that the change was not meant to reflect on Cllr McShee’s ability. He said he felt that Mrs Morgan was reading too much into the change. At this point Cllr Mansbridge appeared to decide that he needed to speak for himself: “I will be extremely clear about it. Councillor McShee was taken off this committee because the infrastructure issues that face this borough and Cllr Palmer [Con, Shalford] had been in charge of the infrastructure portfolio and for reasons of his work had had to stand down but for reasons of continuity it was very important that he remained on this committee. Yesterday (September 29) Mrs Morgan said that she was pursuing the matter by writing to the local press and to MP Anne Milton. She said: “Politics mean nothing to me… But with Bob if you ring him up and say there’s a problem here he deals with it. Cllr Zoe Franklin (LD), Stoke; Cllr Matt Furniss (C), Christchurch; Cllr Monika Juneja (C), Burpham; Cllr Nigel Manning (C), Ash Vale (Vice-Chairman); Cllr Stephen Mansbridge (C), Ash South & Tongham; Cllr Julia McShane (LD), Westborough; Cllr James Palmer (C), Shalford; Cllr Tony Phillips (LD), Onslow; Cllr Tony Rooth (C), Pilgrims; Cllr David Wright (C), Tillingbourne. Whilst the theory of a cabinet administration to simplify government is admirable, the oligarchy continues to spread its power into more and more general committees and to influence independent groups. This does nothing to instil trust in amongst residents. Next year’s election will be interesting – not just with national results. This is yet another example of Cllr. Mansbridge extending the power of his inner circle, at the cost of anyone not prepared to be an unquestioning yes man. These cynical ploys are an insult to the intelligence of the voting public. Time for a vote of no confidence in Mr. Mansbridge. Who amongst our elected representatives has the courage to call for it? It is long overdue. Agree wholeheartedly with Jules Cranwell. This is also yet another display of Cllr Mansbridge’s arrogance and complete lack of respect for GBC residents. He would do well to attend the up and coming free seminar GBC are holding on’Becoming a Councillor’. Cllr Mansbridge appears to have forgotten what the role of a councillor is and he would do well to remember that he does not have the last word, the electorate do. Thank you Sandra Morgan for drawing our attention to, in my opinion, another dictatorial decision by the current council to remove Cllr McShee from the Local Committee. He is one of the few councillors who listens to his electorate. I hope people will show their distaste at the next election. Cllr Bob McShee must be reinstated. We want Worplesdon represented by him. The addition of Councillor Furniss was no reason to remove anyone. Bob McShee is an extremely valuable person to have on the committee. He cares about the future of our community and would be by far the best choice as leader of the council. How much longer are Guildford Tory councillors going to keep quiet about what is done in their name by the council leadership? Silence makes them complicit. This happens when one party is in power too long – it happens in LibDem Portsmouth and Lab Rotherham and Tower Hamlets. Is it any wonder that Guildford Tory council now appears with the above in ‘Private Eye’? Mrs Morgan deserves our congratulations – not fazed by Cllr Mansbridge’s reported ‘put down’. Sneering and similar behaviour is a characteristic of the Tories nowadays on Guildford Council. Mrs Morgan speaks for many of us and about politicians in general. Well done Sandra Morgan for not being intimidated by the leader’s curt response. I too can’t help but wonder about the GBC non-Executive Tory “silence” regarding a whole range of issues. Even Bob McShee’s response above seems somewhat measured. What or who are they afraid of? If they don’t intend to stand next year, what have they got to lose? If they do intend to stand, shouldn’t they be more concerned about their residents rather than the party whip? It’s time for all reasonable Tory councillors, those who are still listening to the people, to wake up and see where their leader is taking them. It is to ignominious defeat at the next election. Lovelace shows that the community’s faith in the Tory controlled council is at rock bottom. There should be no place for ego. There is something very wrong with the wholesale acquiescence to this arrogant and unrepresentative Executive elite who are apparently completely uninterested in their electorate or the real requirements of the borough. They are quite prepared to proceed on erroneous statistics and an unformed, unworkable Local Plan to take us all into potential chaos at the mercy of hungry developers. I too find it difficult to understand why there is not more opposition to councillor Mansbridge’s dictatorial leadership style and disregard for the views and interests of the people he is meant to serve. I feel betrayed not only by this council but by a government that has abdicated responsibility by handing over power to local councils who pay only lip service to adequate consultation in community matters while pushing through ambitious agendas unsupported by adequate evidence. Conservative representatives at all levels need to be aware that they will not be re-elected if they do not make some moves to re-engage with their electorate and challenge leadership when its style has become autocratic and unrepresentative. Just a note on Mr Walton’s response, the Tory vote was nowhere near “rock bottom”. should have, they would have got less than 100 votes. Now that would have been rock bottom. I agree with Cllr Cross. Not totally rock bottom – but close. In the sense that Lovelace was historically the safest Tory seat and you beat the Tory candidate 2-1 it was also the lowest Tory vote of all time. The Local Plan at the heart of the defeat will, at that rate,sink them all. Now that I have voted Lib Dem for the first time in my life let’s see what you can do to save the green belt and find out why on earth Cllr Mansbridge is hell bent on leading his party into the abyss. Any apathy is vanishing fast when the citizens are faced with Councillor Mansbridge. He is not an evil man but he is leading our borough in the wrong direction. Can I assume by the comments above from Cllr Cross that he is directly challenging Liberal Democrat policy in relation to development and house building? Given Conservatives are the most supportive of protection of green field sites, of the three main parties, I find his comments very interesting. Perhaps he will be walking the floor to GGG? ← Previous Previous post: Creative people can get involved in a range of free events for all the family as part of this year’s The Big Draw in Guildford.